Total Service Pro offers painting in Guilderland, NY and many other great services for residences, stores, churches, schools, offices buildings and multi-family projects throughout Guilderland and all of the greater Capital District. 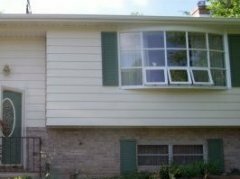 Total Service Pro Painting will provide a detailed written estimate for any of your potential painting Exterior or Interior project needs. We are very familiar with Guilderland. We have painted many homes here. Let us provide you references, before and after pictures, insurance certificate, and a detailed written estimate that will be valid for the entire painting year. Further should you like to schedule your home’s project with us we are happy to add you on our busy production schedule? How much will a good paint job add to the value of my Guilderland home? A Professionally Painted Home Project (a complete interior and/or exterior) can easily add $5,000, 10,000–$50,000 to your home’s value (other factors come into play as well). 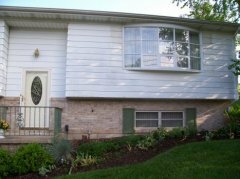 The curb appeal or “first impression” factor is never more evident than in the comparison of beautifully painted Home vs. a House in desperate need of new paint. Especially for those people considering the Sale of their most valued possession. This is evident in the used of fresh paint in neutral colors in all rooms inside your home. This clean neutral look is a great canvas for potential buyers to see or envision the home with their belongings. Plus nothing says “don’t buy me” like highly personalized interior colors or old dirty paint. Let us help you add curb appeal and protect your investment. So whether you’re selling or staying in your home in Guilderland, a fresh coat of paint can add tremendous aesthetic and monetary value to your home.